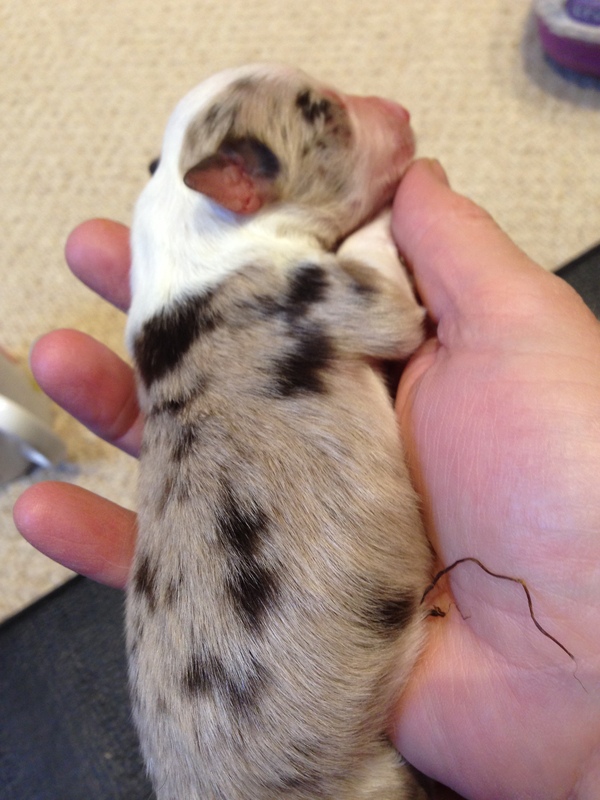 I am a very proud breeder today, announcing the arrival of my new ‘Fairytale’ litter, Westirene Sunshine at Dentbros x Borderlair Taboo Too. Sunny is the most amazing mother; she is calm and confident, totally focused on caring for her babies, but completely relaxed about showing them off and coping with attention. 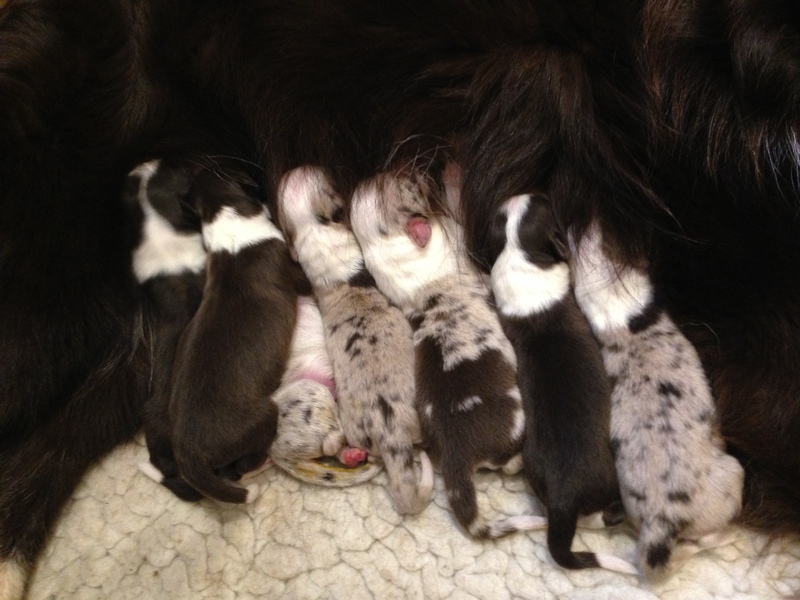 We have 3 girls and 4 boys and as you can see, we have some chocolate and white and some chocolate merle, with boys and girls in both colours – clever Sunny! Most of these gorgeous babies have homes already, but if you would like to be considered for one, please apply as soon as possible to avoid disappointment. Visitors are an essential part of the puppies’ development – the more cuddling they have the better! So please do try and find the time to see them, particularly after the first couple of weeks, when they are up and about? 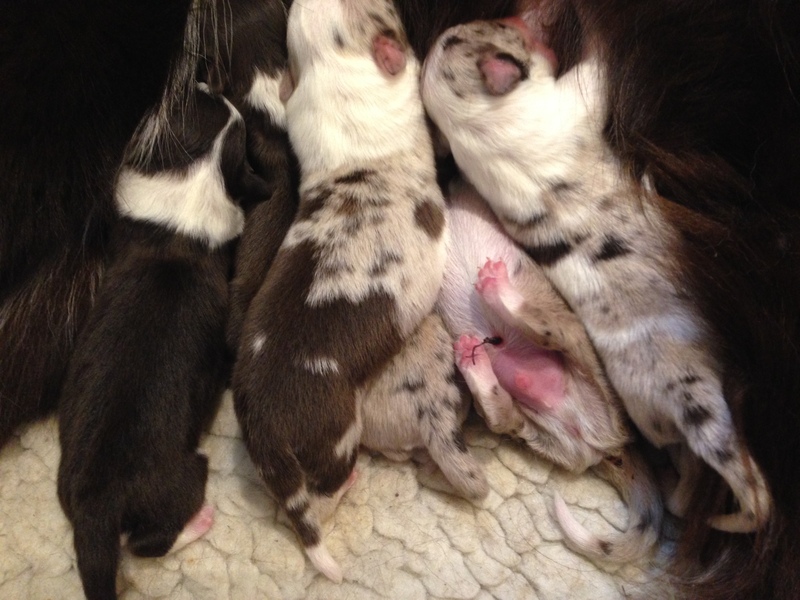 I am so excited about the imminent arrival of 8 puppies from Sunny and Taboo. 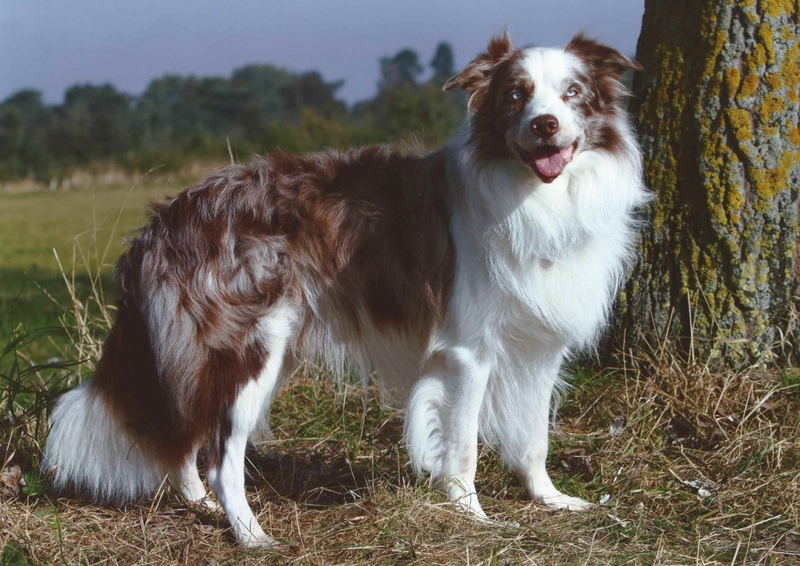 They will be chocolate and white or chocolate merle – delicious! 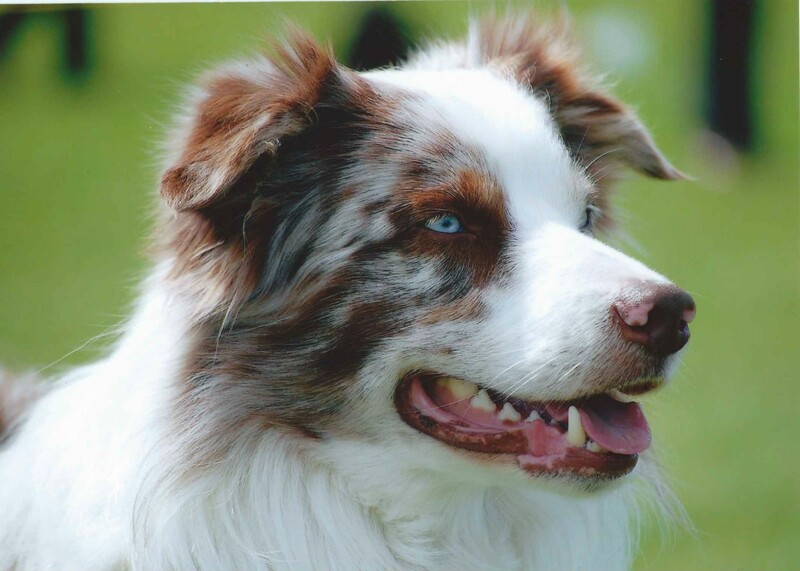 Taboo works ‘ticket’ in obedience so both parents have great drive and motivation for working. 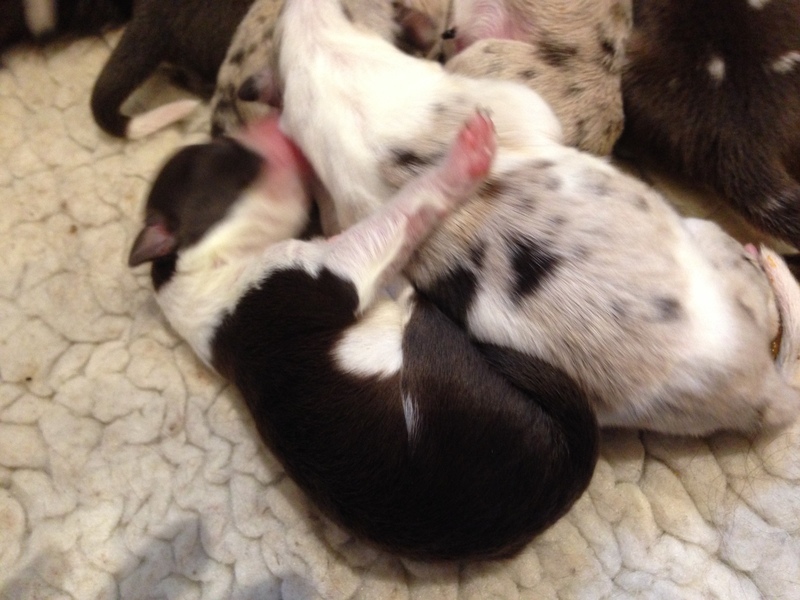 Ideally I would like these puppies to go to homes that will keep them busy, either competing in obedience or agility or being involved in family life. They are going to have fantastic temperaments, being cuddly, loving pets and will be fully socialised by the time they leave my puppy palace. Both parents have had all health tests done – Taboo’s hip score is 4/5, like Sunny’s and their hearing, sight and DNA tests are all clear. I have several homes already, but please contact me if you would like to be considered for one of these babies. 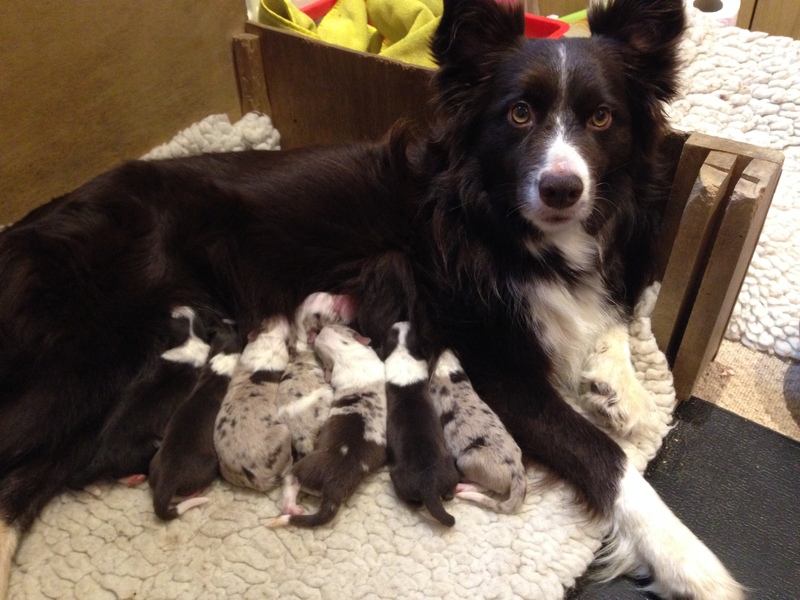 NB: These puppies will not be pedigree border collies and will be registered on the Kennel Club activity register. They will not be eligible for showing.